Contact lenses are prescription medical devices that are worn on the cornea of the eye. In order to prescribe contact lenses an eye doctor must evaluate the health of the eye, determine the proper contact lens prescription based on each individual patient's different glasses prescription, vision needs, corneal health and curvature and examine the contact lens on the eye to ensure proper alignment with the cornea. A contact lens evaluation is a separate part of a comprehensive eye examination and requires additional testing that people who do not wear contact lenses do not need to have. Contact lens examinations and fittings have different levels of difficulty, this depends on the types of contact lenses needed, the visual requirements of the patient and the health of the patient's eyes. Eye Care Northeast provides exceptional professional contact lens services. If you are interested in contact lenses, one of our Certified Ophthalmic Assistants can discuss your options with you. Our recommendations are individually tailored to each patient and are based on many factors including your glasses prescription, visual needs, overall health and eye health. Contact lenses come in wide range of materials, sizes, shapes, thicknesses, colors and designs. They can correct myopia or nearsightedness, hyperopia or farsightedness, astigmatism and presbyopia. Contact lenses are also prescribed for patients who are aphakic or have no natural lens in their eye. 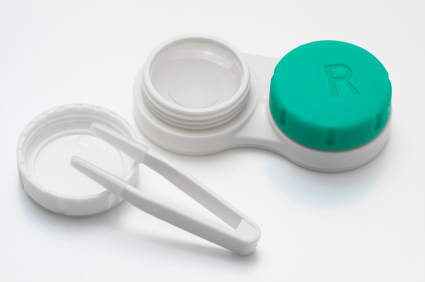 Contact lenses are medical devices that can only be dispensed by a prescription. They must be regarded with the same caution you would use for prescription drugs, which include prescription expiration dates and follow-up visits with your eye doctor. Your eyes go through gradual changes in size, shape and physiological requirements (such as for oxygen) while wearing contact lenses. These changes can affect the health of the cornea and need to be monitored on a regular basis. For the health of your eye our physicians do not recommend nor prescribe contacts that you sleep in. If you experience redness, itching, sensitivity to light, blurry vision, pain or anything unusual when wearing your contact lenses, remove your lenses and contact your eye care provider. Different solutions cannot always be used together and not all solutions are safe for use with all lenses. Use only recommended solutions with your contact lenses. Do not heat the wetting/soaking solution and lenses. Always use fresh un-expired lens care solution. Keep the container closed after using. Always follow directions in the package inserts of the contact lens solutions used. Use only a chemical lens care system. Use of a heat (thermal) lens care system can cause damage by warping the contact lenses. Sterile unpreserved solutions, when used, should be discarded after the time specified in the labeling directions. Do not use saliva or anything other than the recommended solutions for lubricating or wetting lenses. Always keep the lenses completely immersed in the recommended storage solution when the lenses are not being worn (stored). If you are interested in new glasses or frames please see Kim or Erica at IC Optics located in the same building as Eye Care Northeast.